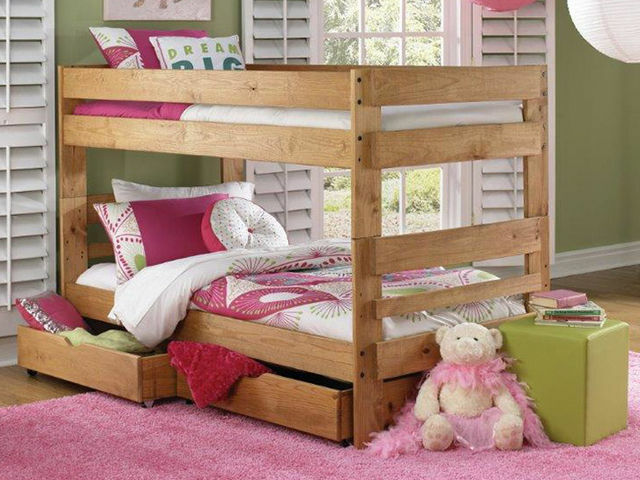 The Twin Bunk Bed is a furnishing that any child will be delighted to have in their bedroom. Made of solid pine, this bunk bed features light wood in a versatile style that will blend into existing decor. Storage drawers pictured not included.